Girls on the Run of NOVA cordially invites you to the Strong Girls Celebration! Join us for an exceptional evening as we celebrate and support strong girls in our communities. The evening will provide a unique opportunity to network and meet others who want to inspire girls to be independent thinkers and make healthy decisions. 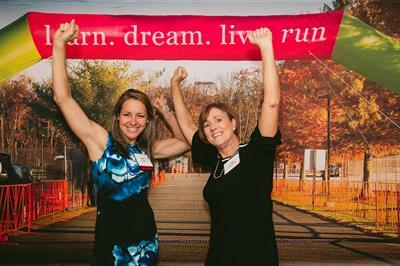 Listen to guest speakers, bid on silent auction items, and learn more about Girls on the Run. All funds raised at the Strong Girls Celebration will go to support local programming through Girls on at the Run of Northern Virginia. Please join us for a wonderful evening that will ensure more girls can gain the skills they need to be strong, confident, and healthy women. 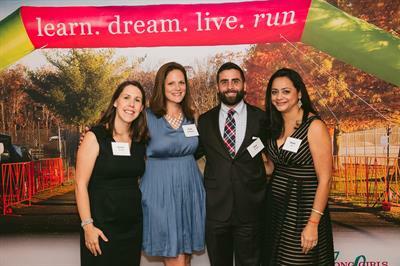 Celebrators – $450 Includes three tickets for the event and an additional investment in Girls on the Run of NOVA. Celebrators are recognized on the Strong Girls Celebration event page. Star Supporters – $750 Includes five tickets for the event and an additional investment in Girls on the Run of NOVA. Stars Supporters are recognized on the Strong Girls Celebration event page.